I've always been a Clinique fan. I love their products because they are allergy tested and not so expensive. Today I will be testing the newest Clinique foundation. Its name is 'Beyond Perfecting'. 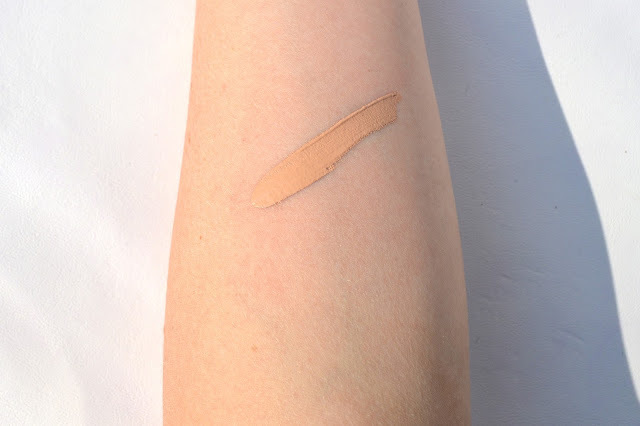 The special feature of this foundation is that this is a foundation and concealer in one. If that doesn't sound amazing! 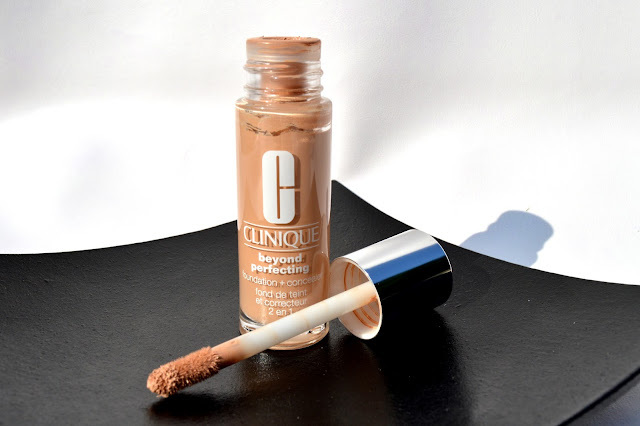 The Clinique Beyond Perfecting foundation is a liquid foundation. What I like about it, is the applicator that comes in the tube. You don't need to take all your brushes with you because you can use the applicator. The applicator feels like a lipgloss applicator. It is soft and easy to work with. But when I'm home, I prefer to use my foundation brush with it. You can use this product as a foundation all over your face, or as a concealer on some spots of your face. This foundation gives a full coverage, but it doesn't feel too heavy on your skin. Be sure not to use too much foundation at once (you can start with a small amount of product and add more if needed later) ! When it's done, I take my foundation brush and start blending it all together on my face. 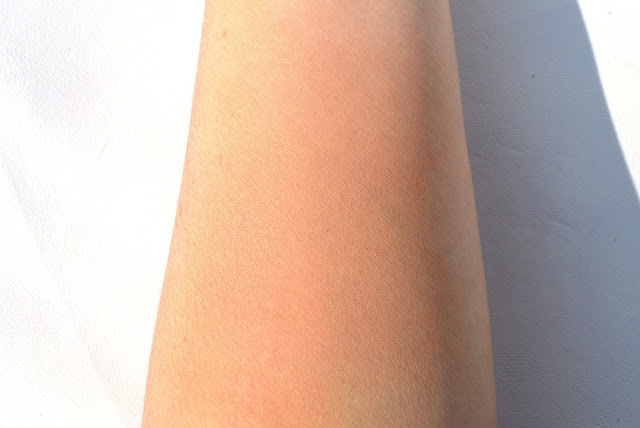 Here you can see the result when the foundation is spreaded all over your skin. It gives a nice coverage, but not too heavy. The colour I've used on the picture is 07-Cream Chamois. The foundation lasts up to 12 hours. 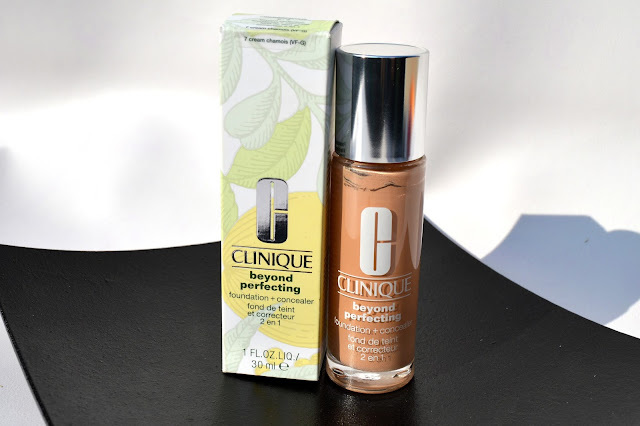 The Clinique Beyond Perfecting Foundation and Concealer also moisturizes the skin (which I like because my skin is very dry and it is so difficult to find a good foundation for dry skins). Although I like the Clinique Beyond Perfecting Foundation for it's moisturizing extra, this foundation can be used by every skintype (from very dry to very oily skin). 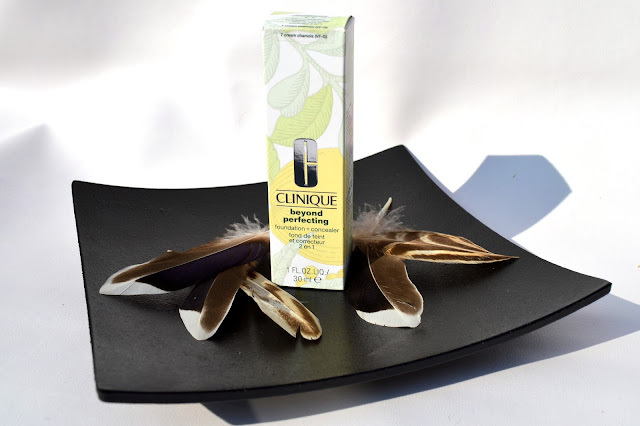 What is your experience with the Clinique Beyond Perfecting foundation and concealer? What is your applying routine?